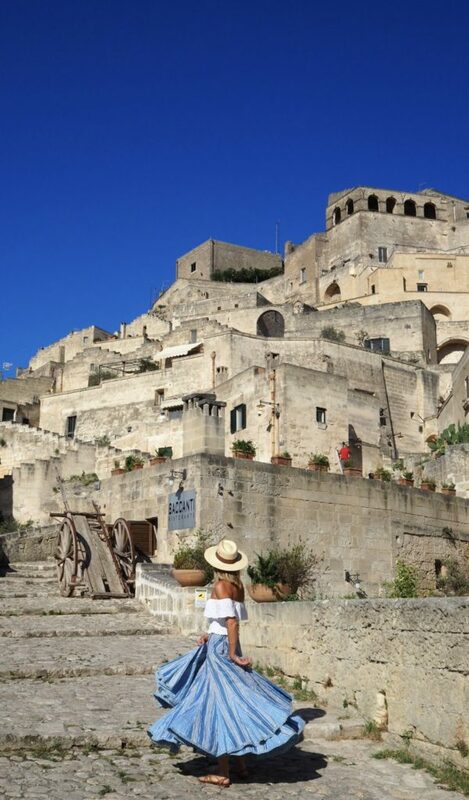 Matera is a dramatic maze of grey stone houses and cave dwellings that are thought to have been founded by the Romans in the third Century BC! The best thing about this striking town is that it has barely changed a bit. 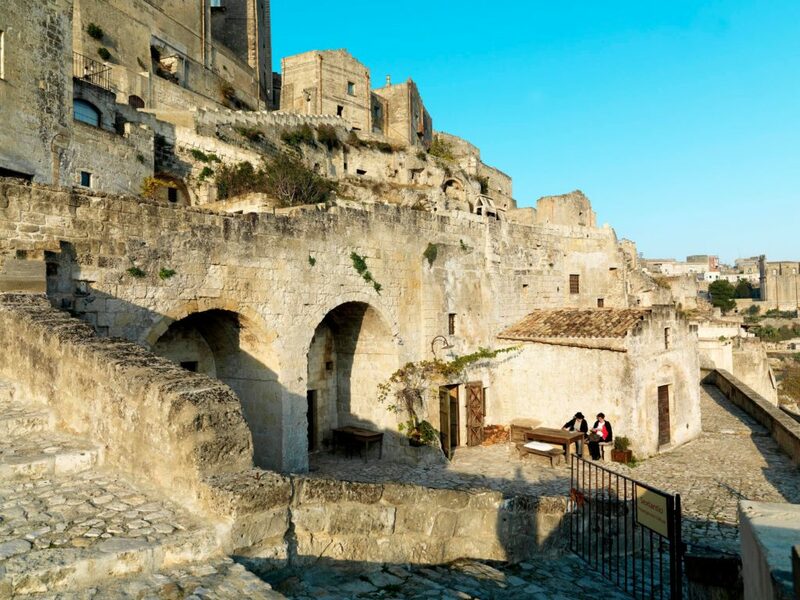 In 2004, Mel Gibson’s The Passion of the Christ was filmed there because historians believe Matera today still looks like what Jerusalem is thought to have looked like thousands of years ago….Pack your togas ladies!! 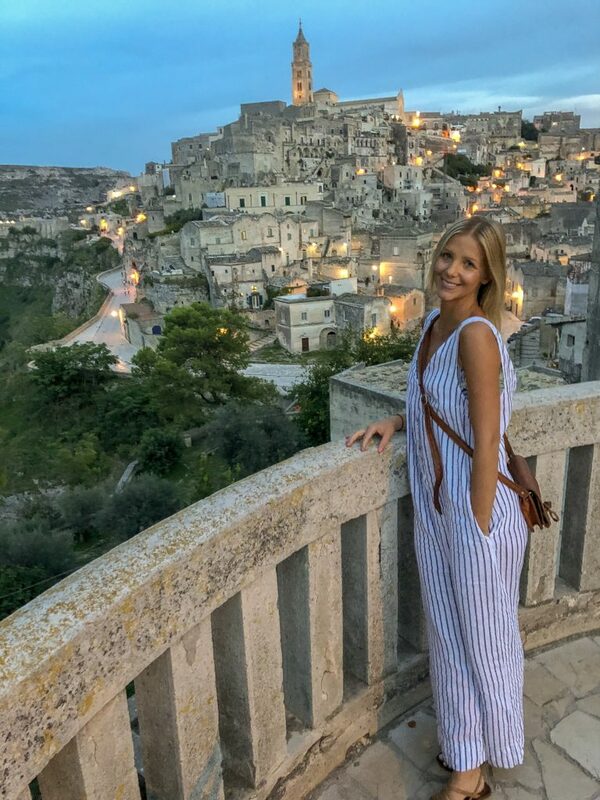 I added Matera to my mental wish list that day and was lucky enough to visit this spectacular setting on my recent trip around Italy… Make sure to add Matera to your next Italian sojourn, it most certainly won’t disappoint. Todays’s definition of luxury has transcended from people seeking quality products to people searching for quality experiences. Sextantio Le Grotte Della Civitao certainly embodies both definitions in its unique offerings. 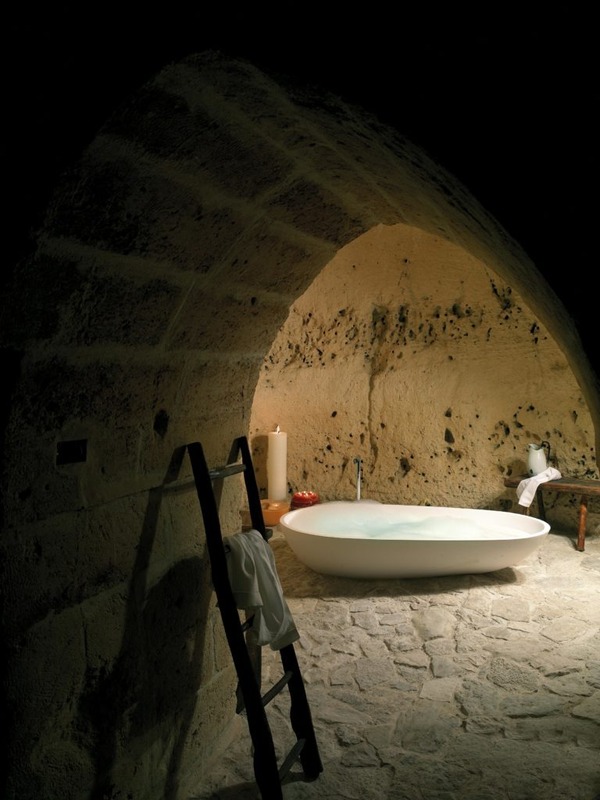 Sextantio is located in the historical heart of Matera built into the original cave dwellings in the centre of the sassi. 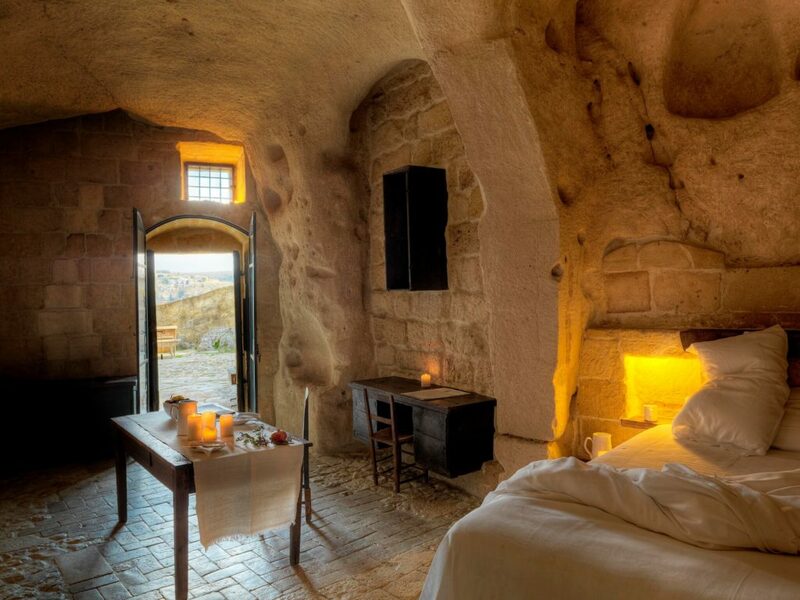 Before building the hotel into the existing 10,000 year old caves in Matera, the owner worked extensively with historians, architects and anthropologists to create an authentic representation of the region’s history. The result…..a luxury hotel stay like no other. 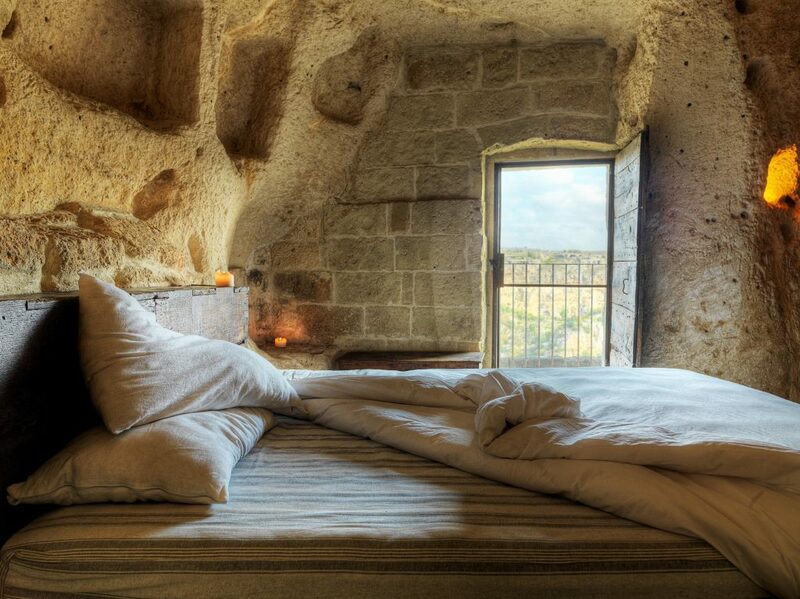 As luxurious as the offerings, some people may opt out of cave-dwelling for their visit to Matera. For these folks, I would recommend checking out the luxury property of Hollywood heavyweight Fracis Ford Coppola. 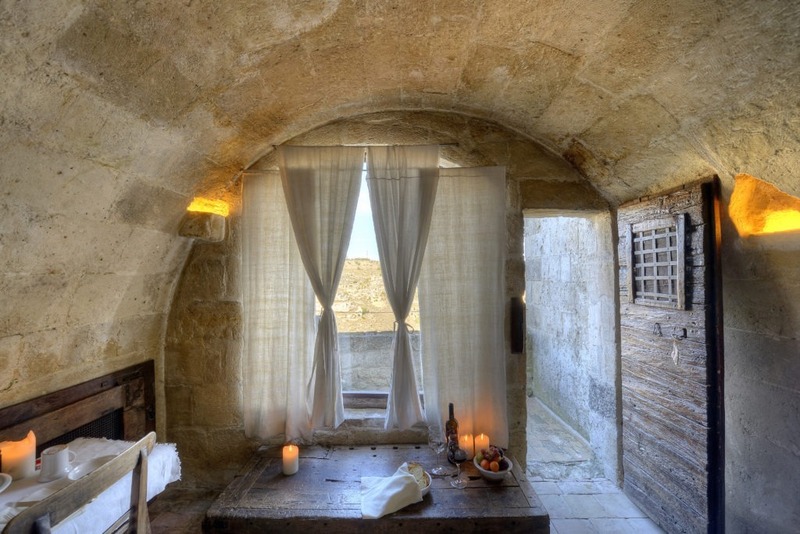 The stunning property is located 40 minutes outside Matera in the town of Bernalda, Coppola’s grandfather’s birthplace. We also stayed in Coppola’s La Lancha Village in Guatemala so we were dying to see his Italian property located sentimentally in the birthplace of his grandfather. 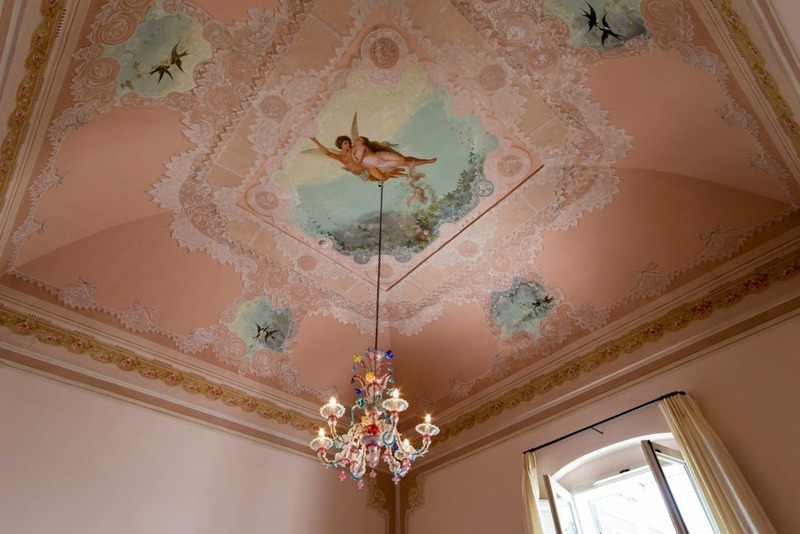 Originally a 19th Century Palazzo built by the Margherita family. 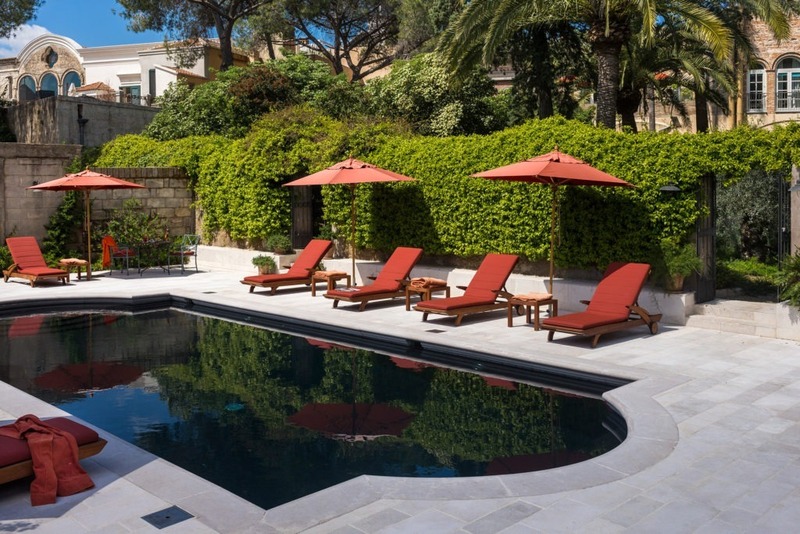 Somehow this spectacular home away from home has managed to stay out of the touristic spotlight so guests can feel like royalty as they intimately enjoy the opulence gardens and seasonal culinary delights. For travellers needing their own space but still crave luxe and cavey, I highly recommend L’Alloro! This gem is situated next to all of the action right at the entrance to the sassi. This spotlessly clean apartment is very spacious and well appointed with a kitchen, laundry, 2 full, modern bathrooms and a stylish mezzanine level sandstone bedroom. I must say, my favourite thing about staying here was meeting the beautiful hosts, father and son duo Domenico & Pietro. These guys take Italian hospitality to a whole other level. Like inspiring vacation coaches, the pair helpfully recommended (and booked) tours, restaurants and galleries throughout our stay and ensured there was always more breakfast then we could possibly eat. I’d recommend booking early as judging by their recent reviews these guys will be back-to-back in no time. We were recommended this restaurant by our Ape driver on arrival into Matera and we were so impressed we came back as much as possible during our stay! First impressions; the location is simply idillic, a candlelit courtyard in the centre of the sassi. The tables are adorned in white linen tablecloths and tended to by impeccable waitstaff as modish music plays softly in the back ground giving the place a contemporary edge. 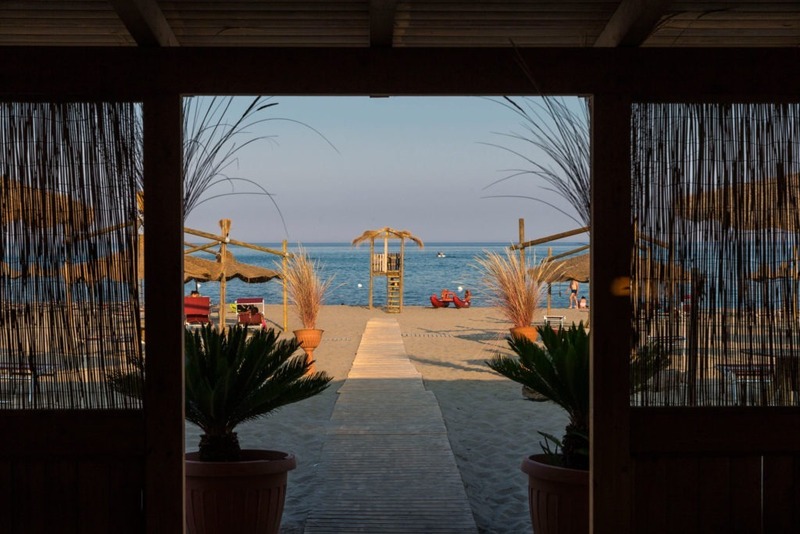 The restaurant offers traditional Basilicata dishes as well as exceptional wood fire pizzas. The first dish I tried was the truffle ravioli and there was no looking back, all of my senses exploded. Do Uber eats do deliveries from Matera?? Make sure to book as we got there right on opening (baby) and they filled up very quickly. For those of us who love our dining fine, my pick for Matera is Baccanti. This restaurant is located in the most picturesque part of the old town and housed dramatically inside the restored cave dwellings. Chef Domenico Di Luca cooks inspired, modern takes on traditional dishes and the service is second to none. 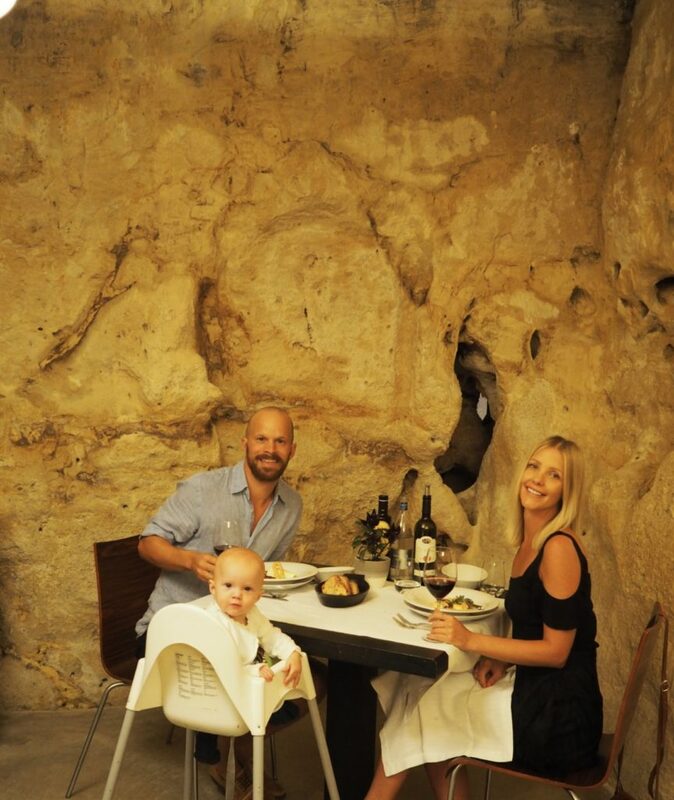 The best thing about a restaurant in a cave?? 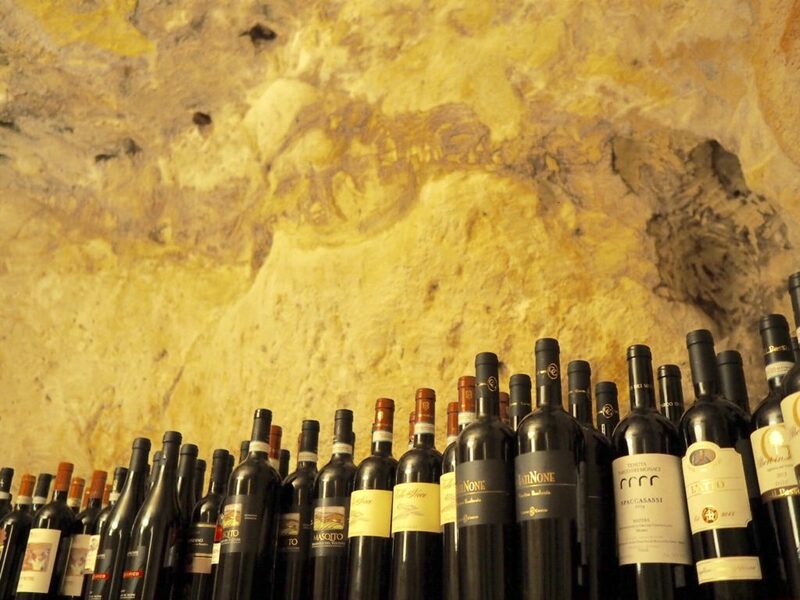 The entire space is a gigantic wine cellar to which Baccanti have taken excellent advantage. The wine list is almost overwhelmingly extensive but rest assured, there is an obliging sommelier on hand to find you the perfect drop. We took some advice on a bottle of vino rosso and ordered the 2015 L’Atto Cantin Del Notaio. If you like your reds, you really can’t go wrong with this one. All in all this was a exceptional meal in an exquisite location! For those days when you over-indulge at lunch and want something lighter for dinner head to Area 8 for a cheese plate & a glass of vino. The venue is the office of a production company by day and at night turns into a stylish bar that plays eclectic music and serves delicious cocktails. On the day you arrive book an Piaggio Ape scooter tour through the city. This is a fun way to familiarise yourself with the area and glean some interesting info about the history of the area. I recommend Vito as your guide/driver. He is born and bread in the area and is both passionate and informative!